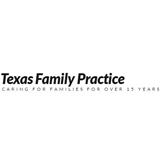 Texas Family Practice (Houston) - Book Appointment Online! Great from start to finish! Front staff pleasant, got me a tissue for sneezing (without my asking). Nurse who did my pre-questions was super. Doctor was great, asked detailed questions and seemed to care. I will be back here for sure.